arkLogic User Group London is an organization for people that are users or fans of MarkLogic and those who are interested in learning more about MarkLogic, XML, XQuery and related technologies. While MarkLogic is where our common interest begins, the members of MUGL share many interests other in the "X" technologies (XML/XSL/XQuery) as well as web application design, publishing systems, search optimization and other content-centric disciplines. All of our regular meetings are free and open to the public. There is no formal membership requirement and all are welcome. To reserve a spot at the next meeting, visit the MeetUp link on the right side of this page. We meet approximately every other month. Sometimes we break the regular pattern if someone special is visting from out of town and we can snag them to speak to the group. If you're someone special and will be visiting London in the next few weeks and would like to be a speaker, please get in touch: mugl@mugl.org. MUGL meetings are always lots of fun, educational and a great networking opportunity. Our meetings are usually at the Theodore BullFrog Pub, a few steps from Charing Cross Station. Visit our MeetUp page for directions and to reserve your slot. Free food and a private, open bar. While you're at it, subscribe to our calendar to have future MUGL meetings automatically added to your diary. If you would like to present at a future MUGL, please get in touch. This group should be about the members and what they're interested in and doing. It should not be a one-way channel for information coming from MarkLogic. If you've been involved with an interesting project or want to talk about something you have some expertise in that you think would be of interest to the membership, tell us about it. You don't have to fill up an hour or even do a formal presentation. Get in touch and we'll figure out a way to share the love. Get in touch by tweeting to @mugl or emailing mugl@mugl.org. 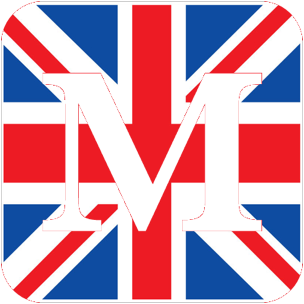 MarkLogic customers are quite numerous in and around London and those numbers are growing at a rapid rate. Because so many users are concentrated in such a small geographic area the formation of a MarkLogic User Group is not only an obvious thing to do it's also long overdue. Every user of MarkLogic has a unique perspective and set of challenges. The goal of MUGL is to bring together people with common interests to learn, share and help each other in a friendly and supportive environment. There will be plenty of hard-core nerdy tech talk, but it's also an opportunity to network and hang out with like-minded people that can understand the challenges you're facing on a daily basis. 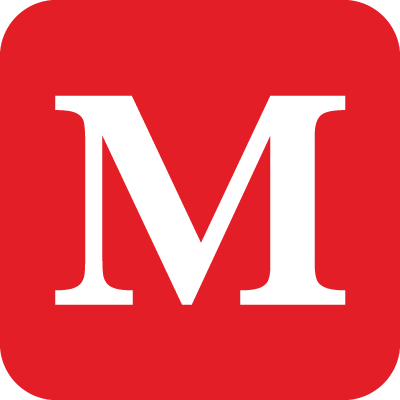 MUGL's founder, Ron Hitchens, is not only a MarkLogic user but also a former MarkLogic employee. Ron was a Lead Engineer on the Core Server Team at MarkLogic in California for five years. Ron relocated to the UK in 2009 and is now an Ex-Pat American living in London building web services and publishing systems that harness the power of MarkLogic. MUGL uses MeetUp to manage our meeting scheduling and discussions. Stay up to date, subscribe to the MUGL MeetUp calendar. MarkLogic helped get the MUGL started and contributes to food an drink costs. Mercator IT Solutions is a proud sponsor of the MUGL and also covers food and drink. OverStory is a consultancy that specializes in MarkLogic and also sponsors the MUGL. New to XQuery? 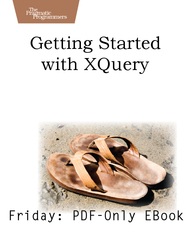 Ron Hitchens, founder of MUGL, wrote an ebook titled Getting Started With XQuery. It may help you, uh, get started.